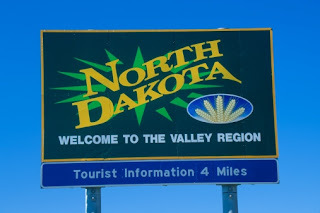 North Dakota Preps • View topic - With all due respect to the Moderators. With all due respect to the Moderators. Again, we see a mod called out by us "regular" forum people for writing something "juvenile" but "within the rules(?)" and then they get offended and lock the topics. The mod stated something that was incorrect concerning a tragic event. But when called on it now other mods back it up and make the person who pointed it out feel in the wrong? tired of those two specific guys in red a while ago and they did nothing to help their cause. This topic will probably be locked immediately or removed after seen because it violated the "rules" of the forum??? Freedom of speech is only for a select few. You have to have red letters in your name I guess. I've been a big fan of this forum for some time(back in the beginning format) and enjoy making predictions and arguing those things, but there have been too many ridiculous topics that should be locked because they serve no purpose, but aren't, and many good topics that end up being locked for questionable reasons. I do however enjoy the moderated topics compared to the beginning days and don't mind so much if topics do get locked. It's the topics that the guys in red throw out questionable statements that spin the topic in a different direction and when their statements are questioned they make a statement in response and then lock the topic without giving a chance to respond. Just like in this recent case. If you are going to make a comment and then get questioned on and respond to it, then please allow for further comments before you lock the topic. Last edited by balla45 on Fri Sep 04, 2009 12:54 am, edited 1 time in total. Reason: I made this sticky. Re: With all due respect to the Moderators. OK, I'll bite. I locked the topic you are talking about for some obvious reasons. The biggest one is that a topic basically dedicated to the memories of a person was going to be turned into a huge argument between a poster and a moderator. If I get personal messages from 5 regular contributers saying that they feel a topic should be locked, 90% of the time, I am going to do it. I am going to back up a moderator when a poster who seemingly exists only to complain about how terrible we are, waits until a moderator makes a somewhat, I'm not talking a blatantly obvious rule violation or stupid thing to say, I mean a somewhat questionable statement and pounces on it. Do you not think that the entire point of that "regular forum person" (your term) was to cause controversy? I understand there are going to be controversial viewpoints on a sports forum, but to blatantly do it in a topic dedicated to a dead person is pathetic. I don't really lock a lot of topics on my own merit. If I see a topic has been reported or get messages about it, I will check it out. I do not like to lock topics, if a particular poster doesn't want to follow the rules, I have no problem banning them for a day or a week. If there are 3 or 4 people in a topic breaking the rules or just saying ridiculous things, the topic should be locked. That is the way in which I moderate. I will never lock this topic, because I have no problem being told that you have a problem with what I do, if you do it like Bigpoppakdog does it. If you are going to send me a message telling me that I am "immature at its finest" and show no respect to Justin's family, I am going to have no second feeling about locking the topic. A person who sends me a message like that shows me that they were just using a person's death as a way to voice their opinion, not everyone views it that way, but I do and I think that is pathetic. I did not know Justin, but 3 of my good friends did, and I am not going to have a person come into a topic full of people talking about how good of a player and person he was, and complain about the moderators. I think that is very immature. I want everyone to feel completely free to voice their opinions on the moderators, however, after you complain, tell us what you would like us to do to improve. You do yourself no good telling us that we are immature and terrible at our jobs. That is a way to get yourself banned. To all of you that complain about everything we do that could be construed as negative, you might want to realize that we are also the people who get rid of the posters who come on here spamming, cussing people out, posting complete lies, disrespecting anybody and everybody, etc. Personally, I think you, Bigpoppakdog, should apply to become a mod. I would back it up. I think you would have a different spin on things very quickly. i didn't lock the topic your refering too....just pointing that out so dont accuse us "red letter guys" of posting something then locking the topic. I have no problem being called out on an opinion of mine...im not going to lock a topic just because someone disagrees with me. Balla45 was responding to a concerned member. I was honestly concerned about all that were closely involved with the sensitive subject of the passing of a student athlete. This topic indeed probably went too far. Baseballs comment about "heat related" was not, in my opinion, innapropriate. I do however see how the poster was offended that a mod. speculated on what had happened. Which, was not anything close to what had happened. Plus I do believe the comment towards the mod. was also do to a past topic where the mods. jumped in and then locked the topic after making a bit of a "jab" towards the poster. I wasn't happy with that one either. Either way, I don't envy being a mod. There are way too many newbies who come on here and in their first 5 posts have called people names and said they are stupid and don't know what they are talking about etc... and ruin a lot of things. Especially this past year late fall 08/spring 09. I do still believe however, that if a mod. chooses to get into the debate, then he shouldn't be able to lock the topic immediately after he makes a post. It gives the impression that one can't argue with your opinions. Though I know that's not that case as I have argued with some of the mods quite frequently in the past. bigpoppakdog wrote: This topic indeed probably went too far. Baseballs comment about "heat related" was not, in my opinion, innapropriate. I do however see how the poster was offended that a mod. speculated on what had happened. Which, was not anything close to what had happened. Plus I do believe the comment towards the mod. was also do to a past topic where the mods. jumped in and then locked the topic after making a bit of a "jab" towards the poster. I wasn't happy with that one either. SUP been here 4 a year still calling pplz names and making rude commments. lightning wrote: SUP been here 4 a year still calling pplz names and making rude commments. Aside from the lack of how to use a spell check, and using words like "cewl", your posts have been appropriate. Or at least the group of Linton players that are using this account. Sorry Mike, I see that you are from Steele, not Linton. My apologies to the people of Linton. you weren't banned. if you were banned you wouldnt have been able to post from the same IP address like you just did. all you did was make another account so now you have 2 active accounts. haha does Linton even have a computer?